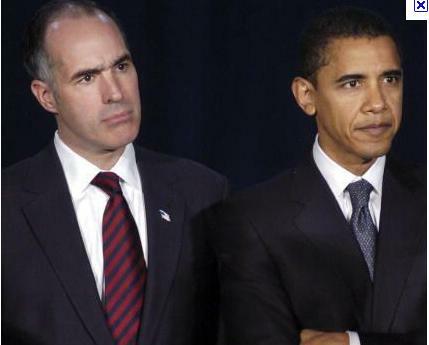 Question: Is Bob Casey a Good Senator for Pennsylvania? Answer: Until about 2008, it did not matter that much to me and perhaps many others whether the son of one of the finest Governors of Pennsylvania was a good Senator or a even a good man. Life was easy in the US and nobody in PA was giving Bob Casey Jr. a reason to show why he was the best or the worst for the state. Then, as Barack Obama entered the national stage, Casey began to carry the water full time for candidate Barack Hussein Obama. Many of us could not figure why as Hillary Clinton appeared the best candidate for Democrats and she was from Scranton, Casey's home town. It no longer mattered what people in Pennsylvania thought. Casey chose to be out of synch with those in his home town of Scranton and the rest of NEPA. My own opinion is that Bob Casey Jr.'s recent interests are someplace other than Pennsylvania. I had the same quandry running against Paul Kanjorski. Northeastern PA.
Americans for Tax Reform suggested to Rep. Kanjorski days before the bill came up in the house that it would cost Pennsylvanians $636.7 Billion if Cap-and-Trade were passed. They urged the Congressman, who represented five counties in our state, many in which coal and gas (both carbon fuels) are "mined," and certainly many areas of the state use coal to fire their electric plants. The cost to Pennsylvanians ws estimated as a huge number that we would be paying through higher taxes and forever higher energy costs. Why would Congressman Kanjorski vote in such a way as to hurt Pennsylvanians? Who knows why he did what he did? Lou Barletta creamed him in the general election of 2010 and he was sent packing. When asked how he would vote for the bill if it reached the Senate, Robert P. Casey was in lock step with Pelosi and Harry Reid and Barack Obama. Reid did not have enough Senate votes to pass this terrible bill but he knew he could count on the Senator from Pennsylvania, Robert P. Casey, Jr. despite the harm it would do to our state. Harry Reid also helped Robert P. Casey, Jr. make up his mind on a number of other pork bills, bailouts, and the infamous government takeover of healthcare. Remember, nobody could have read all this secret stuff with thousands of pages to digest in each bill. Only Robert P. Casey Jr. knows whether he thinks he did the right thing for Pennsylvania. Quite frankly, I don't really care what he thinks about what he did. You should not care either. We were all sold out for some unknown reason so that the Senator could please the President of the United States, Barack Hussein Obama. That's a fact! I do not know what Obama or Harry Reid offered Mr. Casey for his vote on Obamacare and his promise on Cap and Trade and for his utmost loyalty to the hard left House Speaker from San Francisco and the Majority Senate Leader from Nevada. But it had to be a good deal. It was a better deal than serving NEPA! I have no proof of that other than how he voted and how he responded to my constituent emails. He is very faithful in his return emails to make sure I have a response. However, the response is mostly what I would call, bull. The sheet of paper I use to print the response might just as well be blank for the worth of the content. I have a feeling that I am more of a regular guy than our Senator. Thus, he has not represented my interests or other regular people like me from Northeastern PA in Congress during his six year term. He is a good friend to those on the hard left as he does Harry Reid's bidding as we as that of Obama. Mr. Casey knows that we do not like what he was doing in 2008 and beyond, but back then, while representatives from other districts Of PA, even Senator Arlen Specter, went out to meet the people, our own Robert P. Casey Jr. chose not to face the music because apparently, the tunes were not his liking. Check the record. Casey actually hid from open meetings with the people like a scared chicken, afraid he might say something that would upset his master in Washington. Now at election time, he's back like nothing happened! He'll talk to anybody, even me. I think for the first two years that Mr. Casey represented NEPA, he was mostly a good man. Perhaps inside he still is. When I saw him falling in line, and hiding from his own constituency so he did not have to deal with the tough questions, I thought he was too young for retirement mode but he seemed like he had retired. I never thought a man in that mode, who would not have a real open "town hall" meeting with his constituents, would have the nerve to ask the people he was afraid to face when he had the chance, to vote for him again. I think Robert P. Casey Jr. is a bright man and but perhaps for a few good Washington friends, he might have served NEPA reasonably well. But he chose not to do so. He is not perfect for sure, nor am I. But, I think he is less perfect now than he was before he met Harry Reid and Nancy Pelosi. I think he wanted to move his father's legacy forward and he was prepared to serve Pennsylvania. But, he got sucked into Washington Politics and his record is not good for Pennsylvanians. I regret that this Mr. Casey is not the same man as his father. And that, perhaps is the sin of forgetting your constituency and loving your new friends just a bit too much. Not willing to meet the folks as even Arlen Specter did, shows, because he is again running, that Mr. Casey would like to continue the Washington good-life but he is not really prepared to represent his constituents, US. Maybe I am wrong, but that is what I see. Sen. Bob Casey Jr. (D-PA) wrote the following letter to a constituent attempting to justify his support for cap-and-trade legislation similar to a bill that recently was passed by the House. In the left-hand column below, Heartland Institute President Joseph Bast [insert photo], publisher of Environment & Climate News, points out the flaws in Casey’s letter. Thank you for taking the time to contact me regarding climate change, I appreciate hearing from all Pennsylvanians about the issues that matter to them most. The international scientific community concluded human activities that add a large amount of heat-trapping greenhouse gases, such as carbon dioxide, to the atmosphere are a leading cause of climate warming. I believe Congress must take action to reduce and eventually reverse the hazardous effects of climate change, including  extreme weather, famine, population displacement and the escalated spread of disease. The House of Representatives recently considered global warming legislation. H.R. 2454, the American Clean Energy and Security Act of 2009, introduced on May 15, 2009 by Representative Henry Waxman of California and Representative Ed Markey of Massachusetts, takes a comprehensive approach to reducing greenhouse emissions through a number of proposed programs, such as capping carbon emissions, renewable energy requirements and energy efficiency standards. H.R. 2454 passed the House on June 26, 2009. When this bill comes before the Senate, it is likely that the Senate will divide the contents into two separate pieces of legislation, one focused on global warming policy and one on energy policy. As the Senate considers global warming legislation, I will continue to advocate strongly for the people and the economy of Pennsylvania. In fact, I have introduced a bill focused on climate policy, S. 1134 the Responsible Use of Coal Act, focused on carbon capture and storage technology. I am also working on a program which provides assistance to workers as they train for new clean energy jobs in a transitioning economy. In addition, I introduced a budget amendment for funding to help accelerate research and development of carbon capture and storage technology in the fiscal year 2010 Budget. Throughout the upcoming debate I will continue to fight to ensure that clean coal is included in the national strategy to reduce carbon emissions, and the affordable electricity and assistance to ratepayer programs remain available. It is of great importance to me that American families are not left behind as the country addresses the challenge of global climate change. As a member of the Foreign Relations Committee, I am also closely monitoring international negotiations leading up to the United Nations Climate Change Conference in Copenhagen this December. I believe that a global agreement is necessary to alleviate rising energy prices, to transform the world economy, and  to protect our national security. If done properly, our national global warming policy will  reverse the global environmental impacts of man-made greenhouse gas emissions while cultivating new clean energy jobs, re-energizing the manufacturing sector in Pennsylvania, and  revitalizing the national economy. Please be assured that I will keep your views in mind as I continue to work with my colleagues in the Senate to develop climate legislation that will help Pennsylvania’s workers and economy. If you have access to the Internet, I encourage you to visit my web site, http://casey.senate.gov. I invite you to use this office as a comprehensive resource to stay up-to-date on my work in Washington, request assistance from my office or share with me your thoughts on the issues that matter most to you and Pennsylvania. Global warming is a hoax invented by many but completely espoused by Al Gore. Al Gore had $2 million in the bank wen he left Washington for good, prior to latching onto global warming and cap and trade as his two big speakers fees issues. He is now a $hundred millionaire, heading to be the first green billionaire. Is it possible that the smell of the green cash has turned Al Gore's attention green. Remember the people of America rejected Gore as its President, so helping President Obama and Robert Casey Jr. perpetrating this "Global Warming" hoax on the American people may be for reasons that are not very pro-American. Here is the response from Joseph Bast publisher of Environment & Climate News, who very saliently points out the flaws in Casey’s letter. 1. The “international scientific community” has not concluded human activities “are a leading cause of climate warming.” At best, there is agreement that human activities have played some role in the warming of the second half of the twentieth century, but how large a role, how much warming actually occurred, and whether the world will continue to warm are all subject to lively debate in the peer-reviewed scientific literature. The theory of manmade global warming is contradicted by extensive empirical data, including the absence of a global warming trend since 2000 despite rising carbon dioxide emissions, variations in global temperatures that occurred long before human activity could be a cause, and natural feedback loops that have been observed to counteract the warming effects of greenhouse gases. The only scientific support for the theory of manmade global warming is computer model forecasts, which are not reliable and are not evidence. 2. While Al Gore and other popularizers of global warming alarmism claim warming will cause “extreme weather, famine, population displacement, and the escalated spread of disease,” there is no empirical data supporting these claims. Weather did not become more extreme during the twentieth century despite rising carbon dioxide concentrations and a warming of approximately 1 degree Fahrenheit. Famine became less common, and rainfall and soil moisture in most areas increased modestly. The spread of disease is likewise largely unrelated to temperatures, as shown by the fact that malaria was common even in northern regions before the use of DDT and public health measures stamped it out in the developed world. 3. Offering “assistance to workers as they train for new clean energy jobs in a transitioning economy” is an inadequate response to legislation that will destroy hundreds of thousands of jobs. The Heritage Foundation estimates cap-and-trade will destroy more than 1.1 million jobs. The experience in Europe is that the number of “green” jobs added will be a tiny fraction of the number of jobs lost, and they will often pay much less. 4. American families will be “left behind” if a cap-and-trade program operates as its proponents envision. The Waxman-Markey bill would increase energy costs for the average family by between $1,400 and $3,100 a year. Low-income families and those on fixed incomes would be hardest hit by cap-and-trade as their home heating and cooling bills and the cost of gasoline rise beyond the levels they can afford. And many of these families will suffer from the loss of a breadwinner due to the job-destroying effects of higher energy costs. 5. Appeals to “national security” are increasingly frequent in the global warming debate, but the argument is bogus. America’s dependence on oil from the Middle East is only one of several factors that influence our foreign policy in that region, and not the biggest. Reducing oil imports from the region won’t make Islamic fascism go away, and could make it worse. National security is advanced by increasing international trade and reducing tariffs on manufactured goods. Global warming legislation would directly or indirectly reduce trade and lead to higher tariffs. 6. Even those who believe human activities are causing global warming and the consequences of warming would be disastrous admit there is little we can do to stop global warming, much less “reverse” its effects. Author Björn Lomborg points out Waxman-Markey would reduce global warming by less than 4 percent by the end of the century, an amount too small to be measured. 7. There has never been a single instance in the history of the United States when a massive tax increase led to “revitalizing the national economy.” There isn’t a single credible economist in the world who thinks this is the right prescription for what ails the economy today. Waxman-Markey would slow economic growth by raising energy prices, crippling the nation’s energy industry, and causing manufacturing jobs to go to China, India, and other countries that refuse to cap their emissions. It would turn a recession into a major depression. It would be an economic disaster.